This year the Jane Withers-curated Brompton Design District will be dispersed across various South Kensington Estate buildings in exhibitions that explore material use. 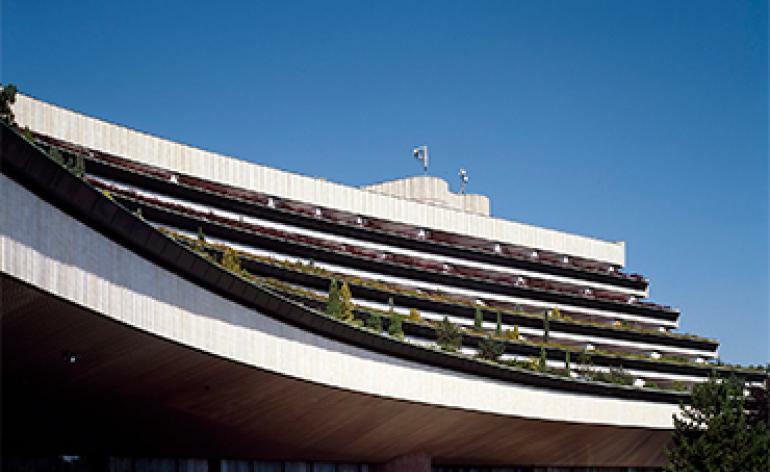 For this, London-based design gallery Sigmar and Czech creative collective Okolo will be recreating the architectural legacy of Hotel Praha in Prague that was demolished in 2014. 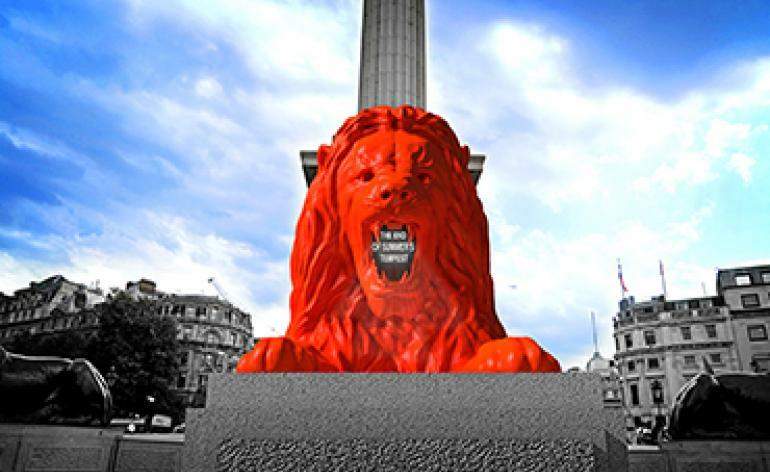 Completed in 1981, the structure was an emblem of late communist rule and using paraphernalia and original furniture, the collaborators will bring this era to life. 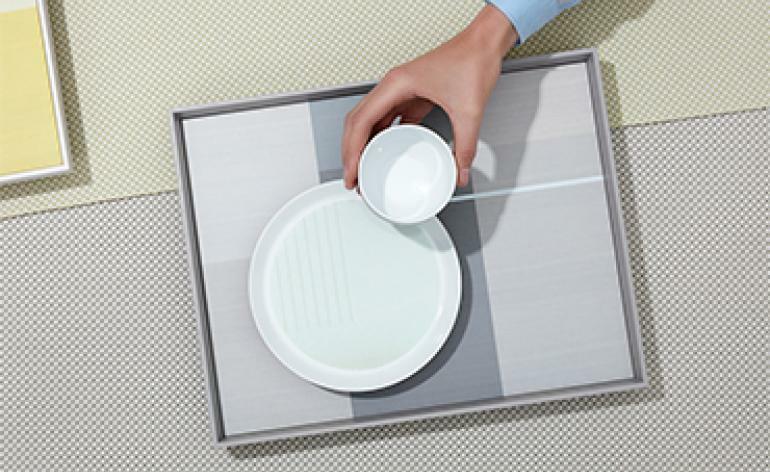 Traditional Fortnum & Mason afternoon tea will get a contemporary spin by Dutch duo Scholten & Baijings in their pop-up at the historical department store. Performances will be held for ‘Time for Tea’ during London Design Festival in the modern room set built by the designers using newly crafted products and furniture that they have realised in a distinctive green hue inspired by Fortnum’s Eau de Nil colour. Included in the mix will also be marble flooring by Luce di Carrara, curtains by Maharam, chairs by Hay, and an exclusive tea set by Japanese porcelain brand 1616/arita. For his first London Design Festival showing in the new Kings Cross HQ, Tom Dixon turns to digital technology. Titled ‘Electroanalogue,’ the innovative display will bring together a 1970s discotheque from Swedish electronics company Teenage Engineering, a record cutting booth from sound artist Yuri Suzuki, and an exhibition of digital leather printing by Bill Amberg for what promises to be an entertaining showcase. 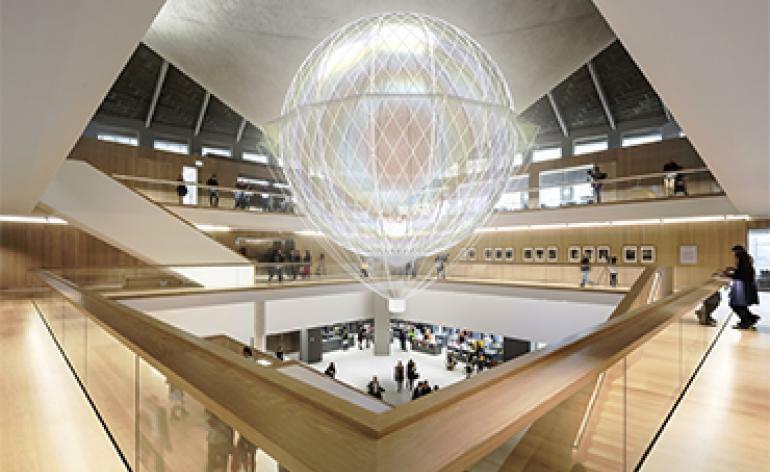 In the atrium of the John Pawson-designed space, spatial laboratory Loop.pH will launch an airship title Mind Pilot. Guests will get an opportunity to pilot the floating balloon using their heart rate and brain activity detected through a headset and monitoring devices. The Holland Park venue is part of the West Kensington Design District and will also be celebrating the 11th edition of the Beazley Designs of the Year during London Design Festival with a showing of the 2018 shortlist. 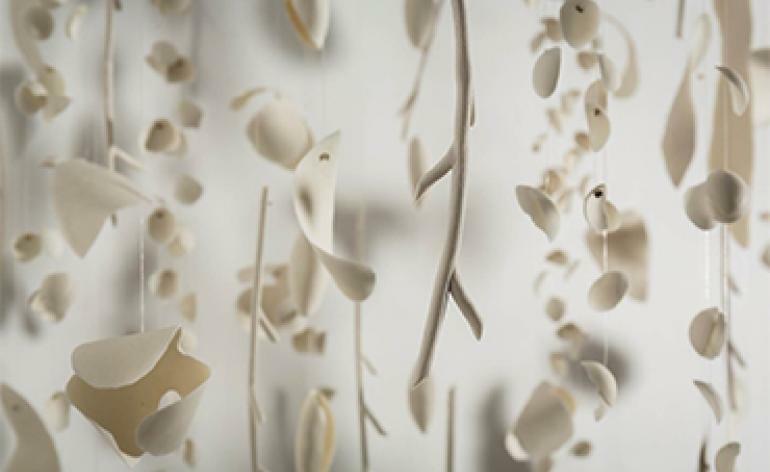 Brazilian ceramic artist Valeria Nascimento will be forming an immersive ‘Rainforest’ with Liaigre porcelain during London Design Festival. Thousands of ceramic pieces shaped as botanicals will transform the Mayfair showroom into tranquil backdrops for Liaigre’s new furniture launches. 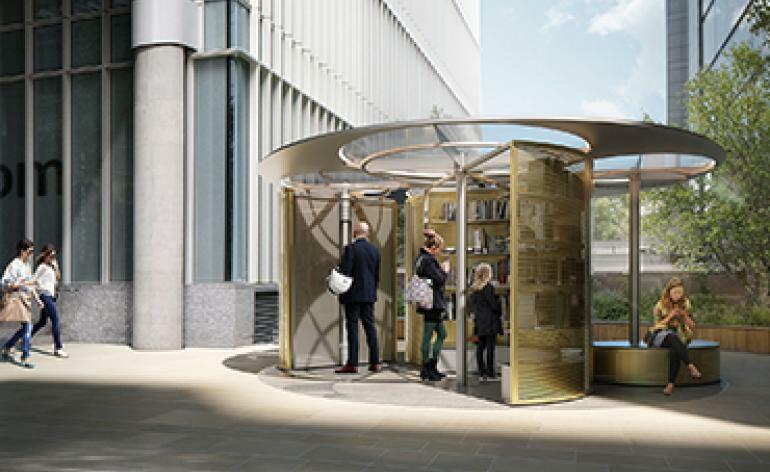 Norwegian architects Snøhetta will be putting the new district of Paddington Central on the design map with a new book pavilion commissioned by British Land (render pictured). Located on Kingdom Street, the installation will rotate as if flipping through a book to offer a range of oversized tomes. 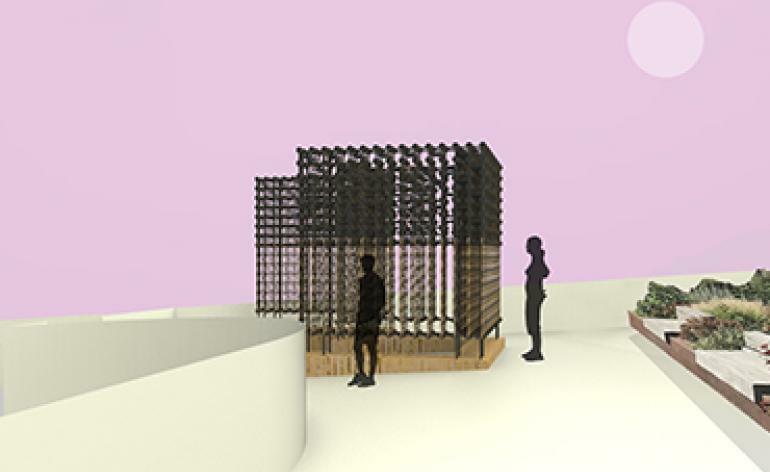 The team were inspired by traditional libraries for the structure, offering different blissful spaces for reading. Paddington Central will also be home to another reading experience, this time visitors can leaf through Ido Garini of Studio Appétit’s vibrant Urban Garden pop-up book that will be parked up on Regent’s Canal. 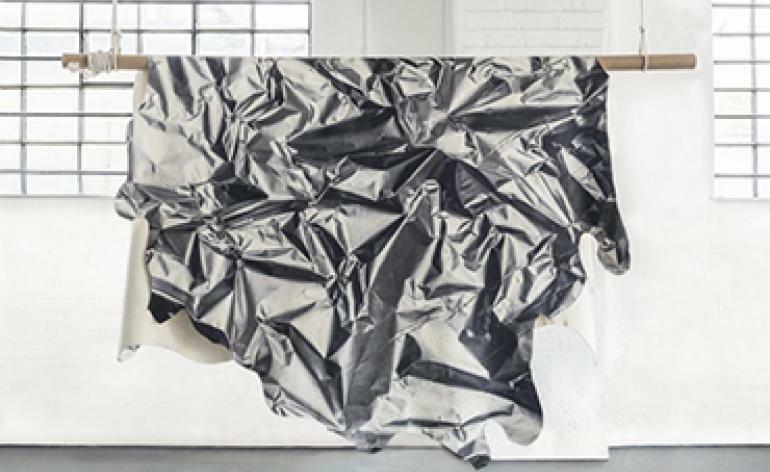 Materials and research design collective Matter of Stuff are opening a pop-up gallery that will show the fruits of a summer residency by London-based designers Raw Edges at exhibition space Fenman House in Kings Cross. 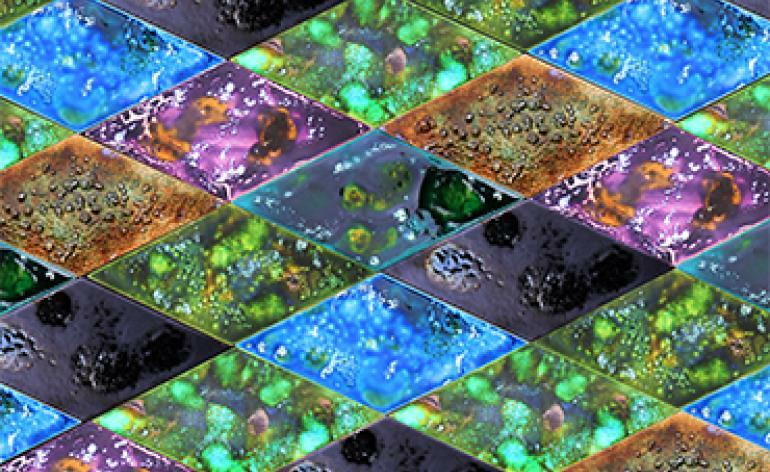 The installation will display experiments in materials, textures and finishes and include works by the likes of Bocci, CC-Tapis, De La Espada, Bohinc Studio. Matter of Stuff will also be hosting a second London Design Festival exhibition at Mayfair creative cove Sketch that will explore hand blown glass and movement in design. Sir John Soane wrote Crude Hints towards an History of my House back in 1812, a text in which he distinguished characters including a lawyer, a monk, a magician and an architect that inspect the museum. 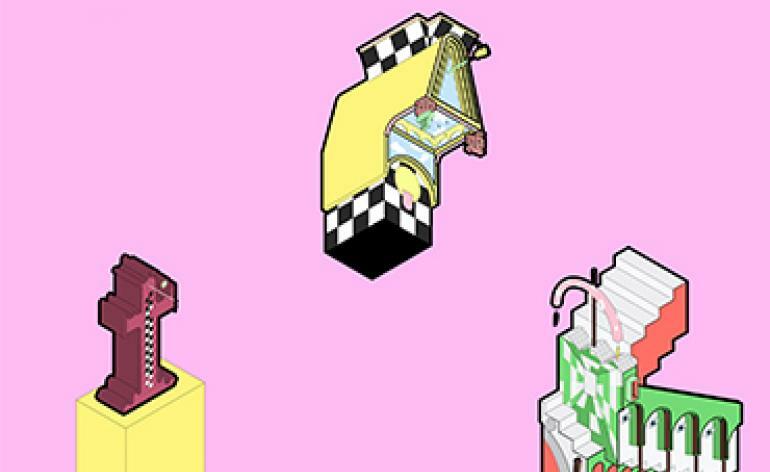 For London Design Festival, architecture practice Studio Mutt is resurrecting these characters with whimsical architectural compositions. Scattered across the museum, the vibrant silhouettes take cues from its cultural surrounds, for a playful showing of modern architecture. The design fair ups sticks once again, this time crossing the river to Southbank for its eighth edition. The central Doon street hub will be stippled with new products from the likes of ANDlight, New Tendancy and more, plus it will be home to a design pop-up restaurant and whisky bar by Glenlivet and Bethan Gray. 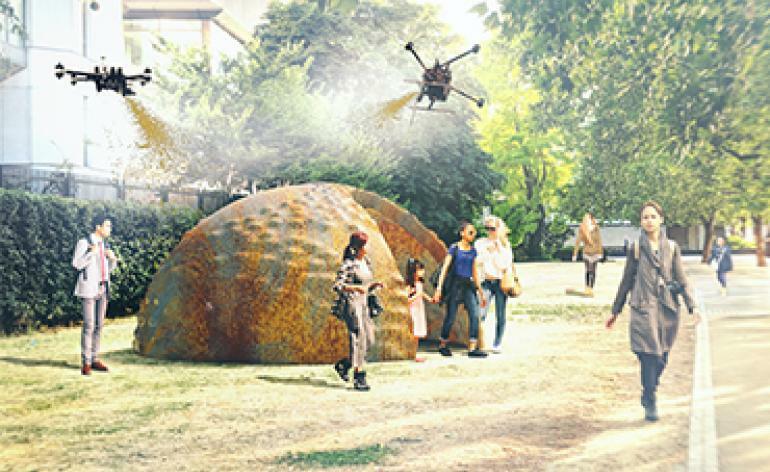 Nearby on the Riverside Walkway, French architect Stephanie Chaltiel will launch The Mud Shell housing project, a structure made of sustainable materials applied via a drone spraying technique (render pictured). A nation that usually remains under the design radar compared to other South American countries, Uruguay now gets its moment with two separate shows during London Design Festival. Curated by Uruguay-born designer Matteo Fogale, the first show at Aram Gallery explores modernist architect Julio Vilamajó Echaniz. Fogale had a residency at Museo Casa Vilamajó with local design studios and this work will go on view at the Drury Lane space alongside with works by Vilamajó Echaniz. 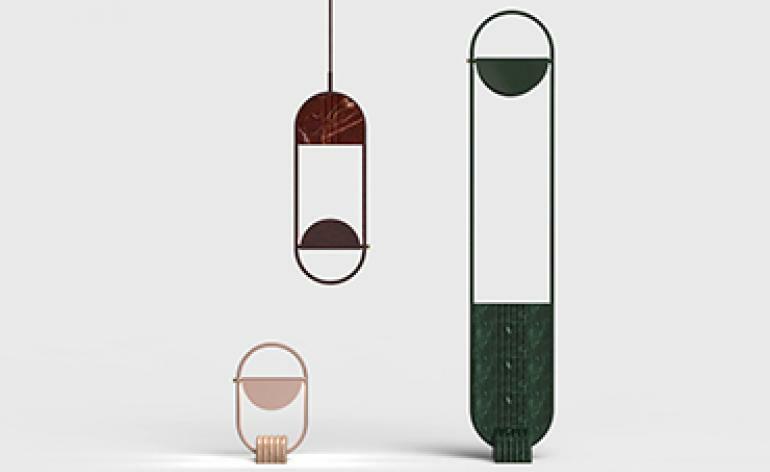 Catch more Uruguayan designs at Design Junction too where Fogale will create set for contemporary talent. 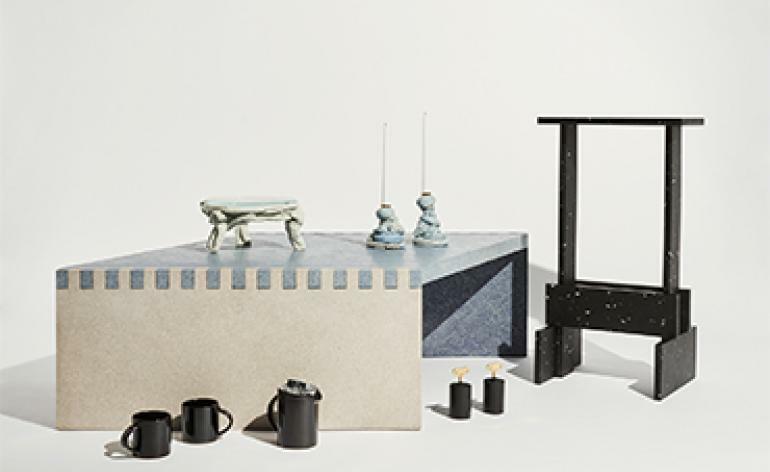 Fours years of past collaborations come together for ‘Ready Made Go 4’, a project curated by Laura Housley that sees London-based designers realise objects for Ace Hotel London. These products go on display during London Design Festival, and become part of the hotel’s inventory thereafter. 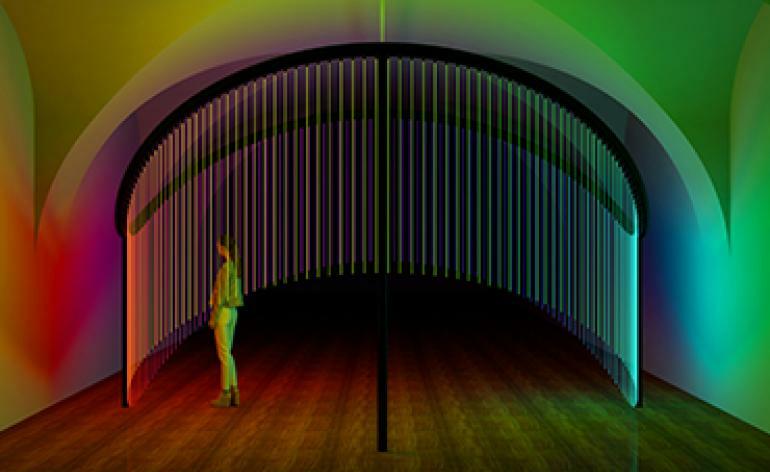 This year pieces by Laetitia de Allegri, William Drye and m-l-xl will be created for the East London haunt and will pepper the space alongside every design created since its inauguration in 2014. Launching for its third year will be South East Makers Club, an initiative that sees craft and community at the centre of the programme. Plotted around Deptford this year, the London Design Festival show will highlight many local makers with events, workshops and even a design pub quiz. 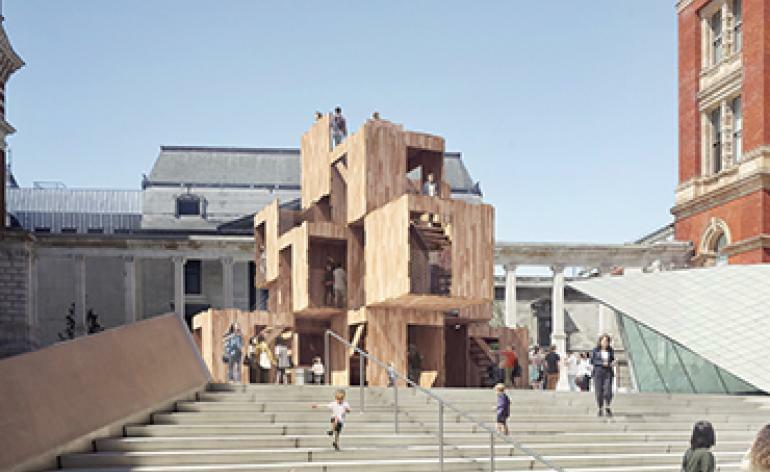 Highlights include ‘Byplace’, an architectural installation by Deptford-based Giles Miller Studio and Aldworth James & Bond that explores where digital techniques meet hand-making and will be set on the on the Grade 2 listed Carriage Ramp in Deptford Market Yard. Twenty furniture sculptures by the Italian designer and architect will go on view at Carpenters Workshop Gallery in Mayfair this London Design Festival. 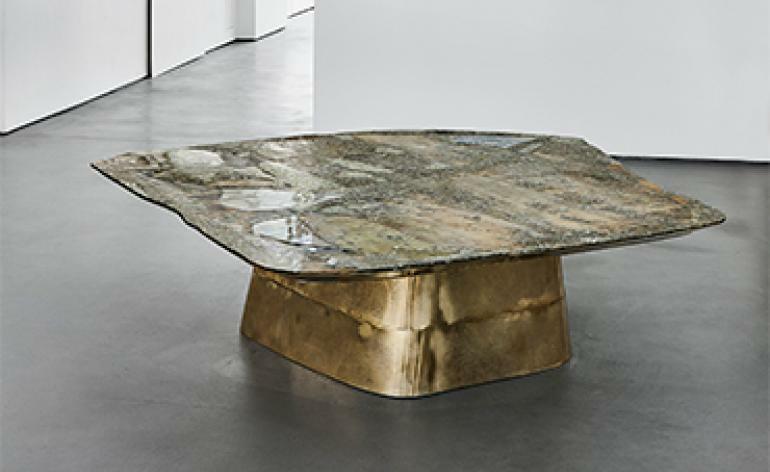 Titled ‘En Plein Air’, the solo exhibition will take visitors on a journey of the Milan-based designer’s nature-inspired world with sculptural seating, tables and cabinets that are embedded with semi-precious stones, glass, recycled resin and cast brass. The experimental works show De Cotiis’ interest in pre-Cubist forms and will undoubtably exude the ‘industrial elegance’ he is known for.